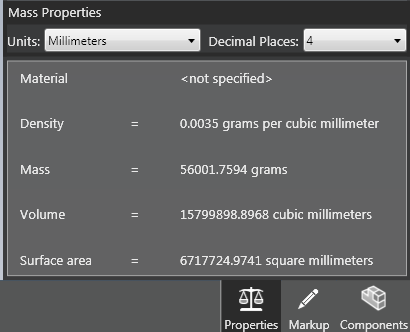 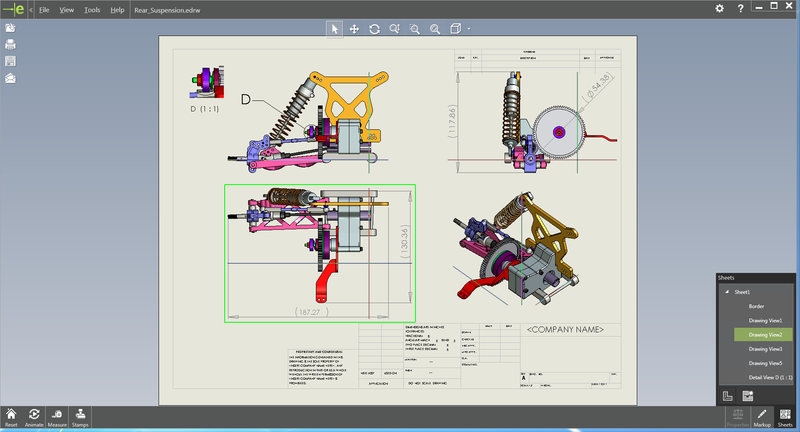 Export Simplified representations, Family table instances, Multiple Drawing Sheets to eDrawings. 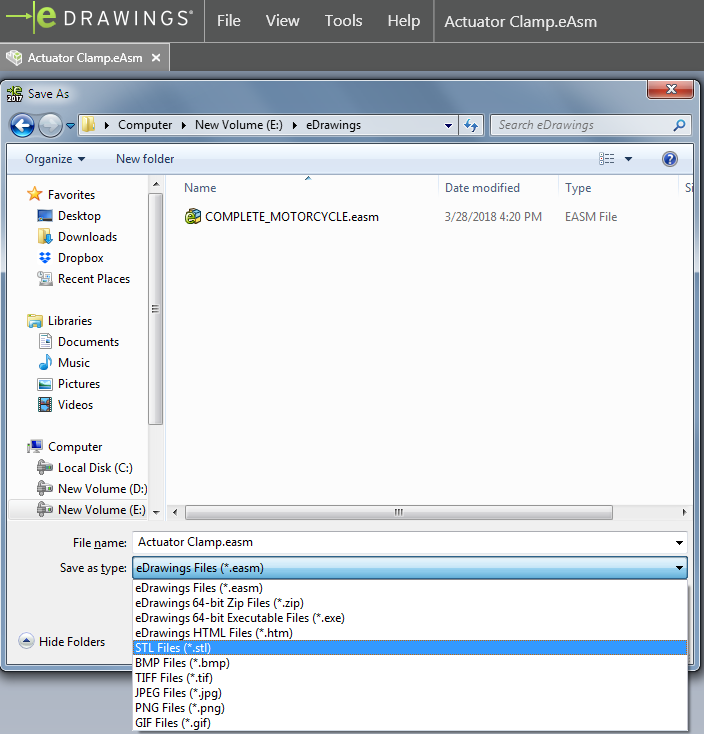 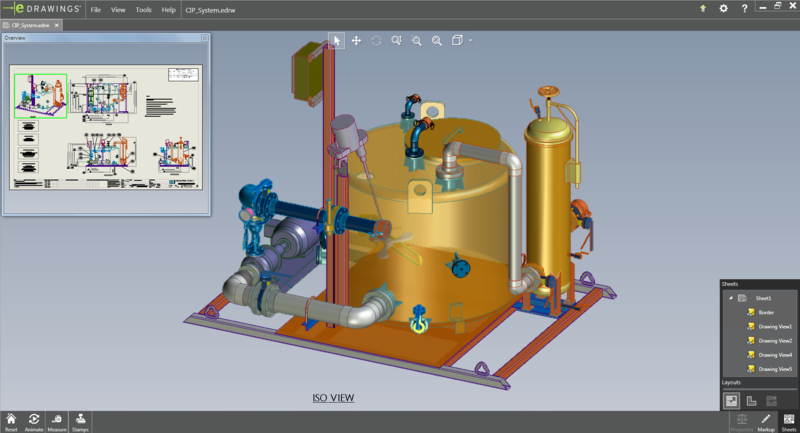 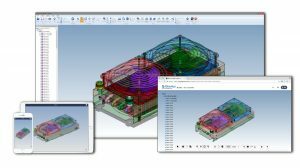 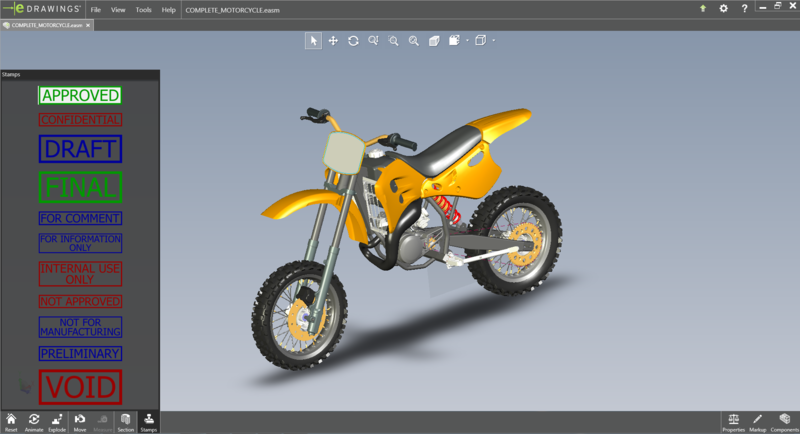 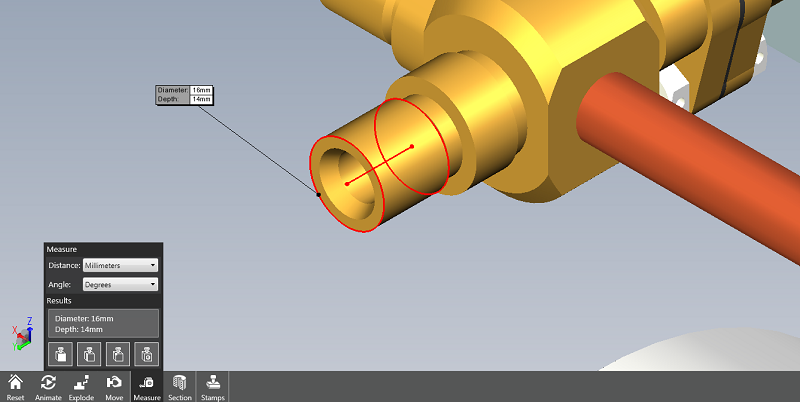 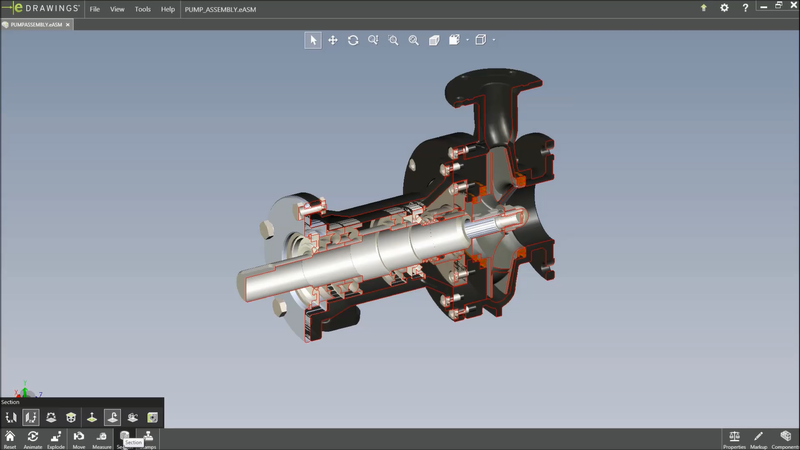 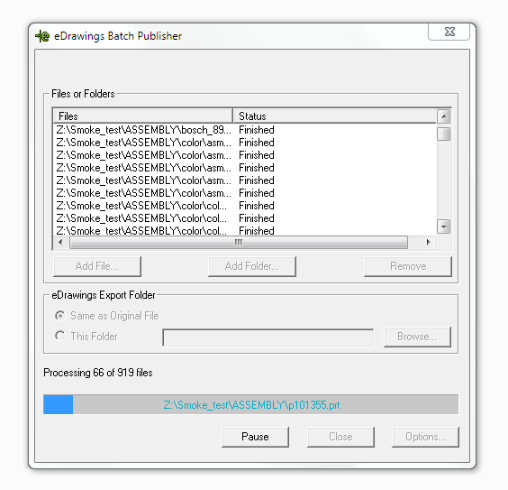 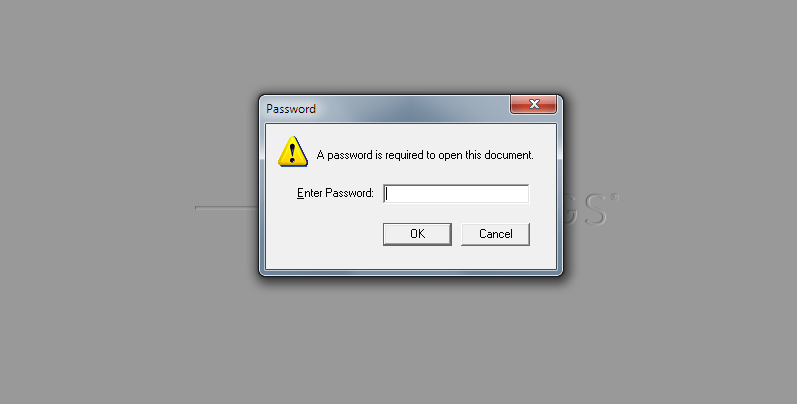 Convert multiple CAD files to eDrawings. 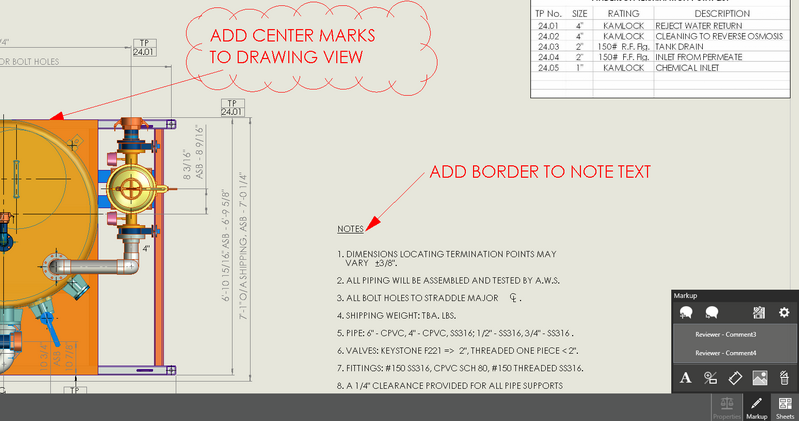 Open individual views in a drawing and arrange them in any way you desire. 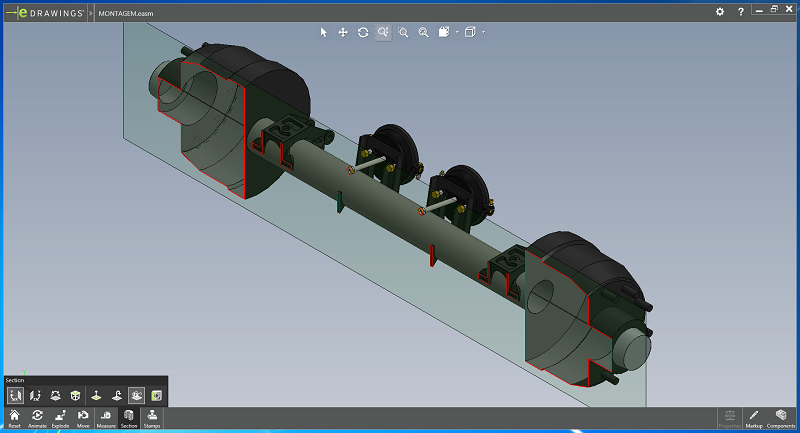 eDrawings layouts also automatically align the views intelligently and enable the eDrawings recipient to print and export any subset of a drawing. 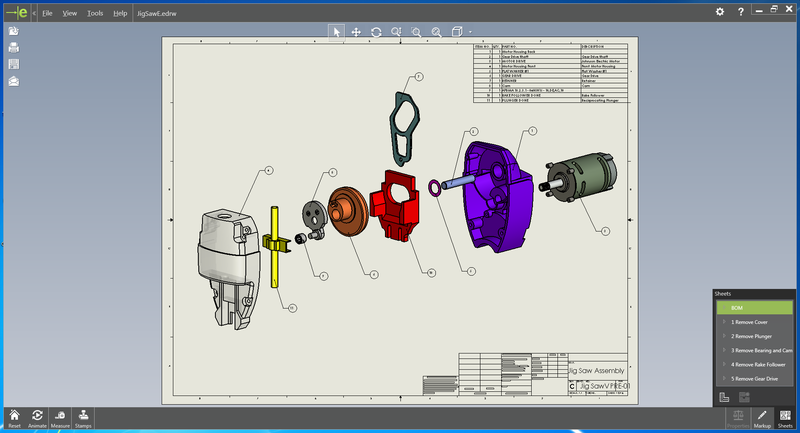 Display exploded view information in assembly documents. 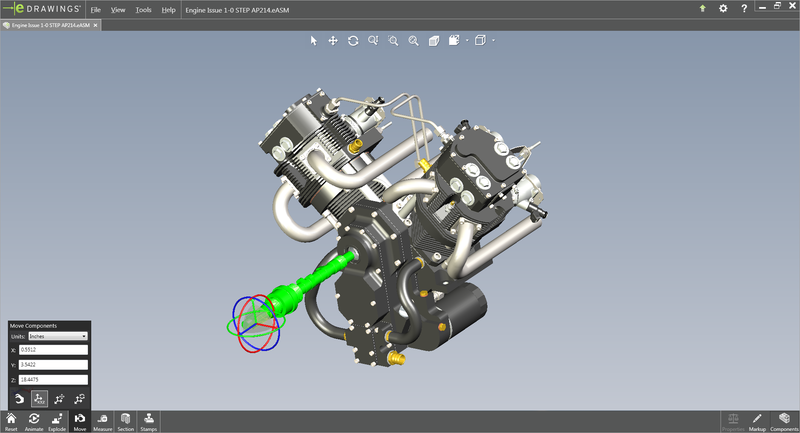 eDrawings publishers are also available for CATIA V5, STEP/IGS/STL,NX, Autodesk Inventor, Solid Edge and PTC Creo Elements/Direct.